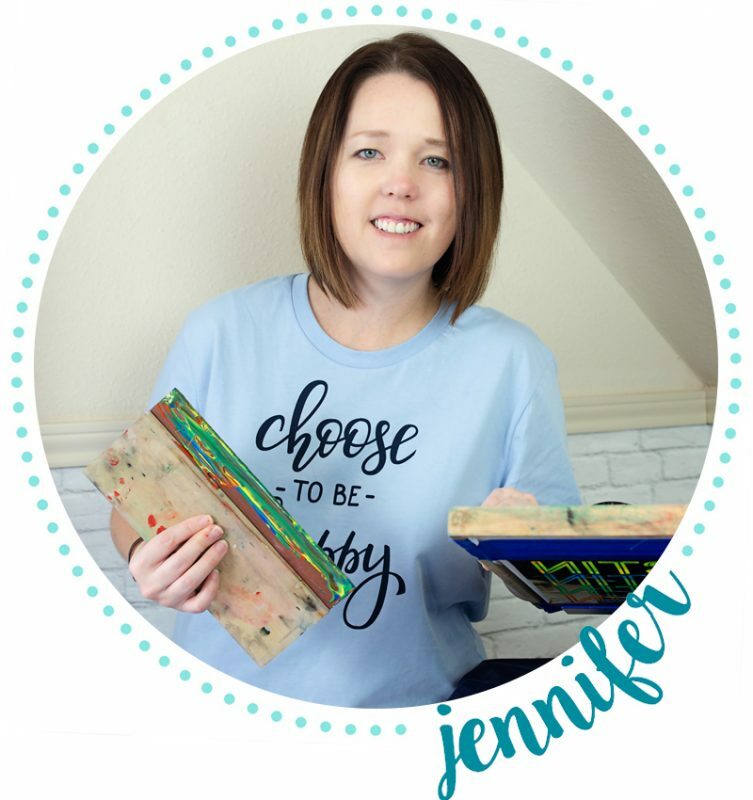 I love creating personalized gifts for baby showers. This one was fun. 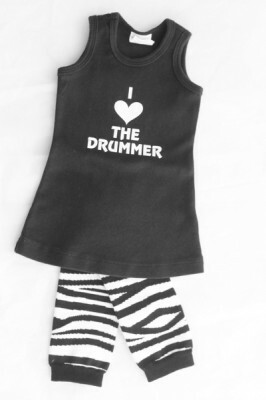 Daddy is a drummer in a local band. I cut and ironed on a vinyl design. 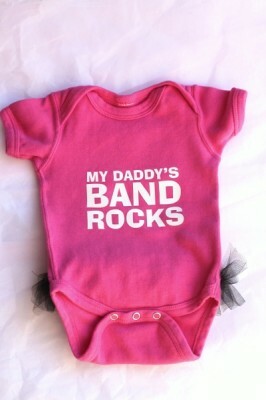 I am not familiar with this site, but I was searching “my daddy’s a drummer” clothes and this image popped up. I would love to purchase this outfit…but I think you only sell the iron-on lettering and not the clothing, is that right? I would very much appreciate any info you can pass along to me.